State Catholic High Schools Athletic Association champions Park School (25-2) and Cardinal O’Hara (25-1) now know when they will hit the floor for their next games, as officials unveiled the New York State Federation Tournament of Champions schedule for Glens Falls late Sunday night. The two schools will play back-to-back games Saturday with defending Class A Federation champion Park facing Albany Academy at 10:45 a.m. at Cool Insuring Arena in a rematch of last year’s final. Cardinal O’Hara hits the floor at 12:30 p.m. and faces New York State Alliance of Independent Schools Class B champion Lawrence Woodmere Academy (22-4) from Long Island. The Class A and B finals are Sunday at 1:45 p.m. and 3:30 p.m., respectively. Park and Albany Academy (14-3), the NYSAIS champion, met earlier this winter with Albany Academy winning 67-44. The Pioneers played that game without star guard Noah Hutchins. 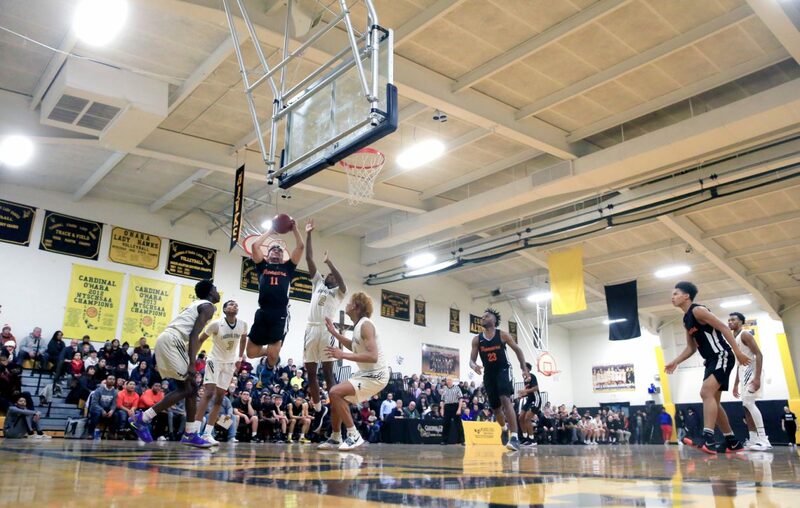 The Federation Tournament brings together the Class AA, A and B boys and girls champions of the New York State Public High Schools Athletic Association, New York State Catholic High Schools Athletic Association, New York State Alliance of Independent Schools, and New York City PSAL tournaments. The purpose is to determine which champ is the overall/undisputed champion of New York State. This is the final year the Federation will be held in Glens Falls. The event moves to Fordham University in the Bronx next year with Glens Falls’ Cool Insuring Arena returning as site of the NYSPHSAA Boys Final Four. The Federation begins Friday with a seven-game slate that tips off with girls Class A semifinal action at 9:30 a.m. The first five games of the schedule features girls champions with the Class AA boys semifinals set to close the day with games that start at 6:15 and 8 p.m.
Miguel Rodriguez – Miguel Rodriguez covers high school sports at The Buffalo News. Since joining The News in 2003, he has also covered boxing, mixed martial arts, the Buffalo Bills, all levels of ice hockey — including two IIHF World Junior Tournaments — and college sports.